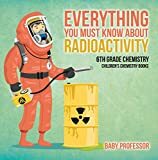 Radioactivity is a phenomenon that occurs spontaneously in nuclei of unstable atoms, emitting a large amount of energy in the form of ionizing radiation through their disintegration into another stable nucleus. The rate of emission and the type and energy of the radiation emitted are characteristic of each radioactive element. Radioactivity can be natural or artificial. In natural radioactivity, the substance already possesses it in its natural state. In artificial radioactivity, radioactivity has been induced by irradiation. Radiation can be classified as electromagnetic (X-ray or gamma ray) or corpuscular. As it passes through a medium, it is ionized by radioactivity, either directly or indirectly. An element possesses radioactivity when its isotopes are not stable and need to lose energy to reach their fundamental state. This loss of energy occurs with electromagnetic emissions of particles, which allows it to modify the energy present in its nucleons or electrons, or vary the isotope. In the International System, the unit of measurement of radioactivity is called the becquerel. Radioactivity is nothing new. It has existed since the Earth was formed 4.5 billion years ago. It cannot be perceived by smell, taste, touch, hearing or sight. Only in recent years have we learned to detect, measure and control it. Contrary to popular belief, radiation is not only produced by the nuclear industry or nuclear weapons. In fact, 87% of the radiation dose we receive comes from natural sources. Radiation is everywhere: in homes, in the air you breathe, in the food you eat; even your body is radioactive. The Earth itself is naturally radioactive and exposes people to radiation from surface rocks and soils. The rest of the radiation comes from human activities. The best known and a broadest source is medical application. The benefits of using radiation in the diagnosis and treatment of disease are countless. It has made it possible to perform brain and bone scans, treat cancer, and use radioactive elements to track hormones and other chemicals in the body. All isotopes of elements with atomic numbers equal to or greater than 84 (polonium being the first) may be considered to be radioactive (natural radioactivity) but currently, radioactive isotopes of elements with stable natural isotopes (artificial radioactivity) can be obtained in the laboratory. The first radioactive artificial isotope (i.e. the discovery of artificial radioactivity) was obtained in the laboratory in 1934 by the marriage of Frédéric Joliot and Irene Curie, daughter of the Curie family. has its origin in the 19th century and more specifically in 1896, when French physicist Antonie Henri Becquerel (winner of the Nobel Prize in Physics in 1903) discovered it by chance. He was working on the phenomena of phosphorescence and fluorescence with a mineral containing uranium, the Pechblende crystal. Thus, from that moment on, and by pure chance, one day in the sun, he discovered that the photographic plate with which he operated, together with the aforementioned uranium, was veiled even though he had not received the rays of the King Star, it was only by chance that he understood that the aforementioned crystal possessed radiation. This scientist was the pioneer, but nevertheless, it would be the great Polish physicist and chemist Marie Curie who would establish the term radioactivity. In particular, based on the study of the aforementioned Becquerel, she and her husband developed numerous studies that discovered, for example, the radioactivity of thorium. But that was only the starting point because from there they continued working and found other chemical elements that also shared this quality. This would be the case with radium or polonium. The latter element was curiously named in honour of Marie’s homeland. The nature of the radiation emitted and the phenomenon of radioactivity was studied in England mainly by Ernest Rutherford and Frederick Soddy. As a result, it was soon learned that the radiation emitted could be of three different kinds, called alpha, beta, and gamma, and that at the end of the process the original radioactive atom had been transformed into an atom of a different nature, that is, a transmutation from one atomic species to another had taken place. It is also said (and this is the current terminology) that the radioactive atom has disintegrated. In 1899, the French chemist André Louis Debierne discovered another radioactive element, actinium. That same year, British physicists Ernest Rutherford and Frederick Soddy discovered the radioactive gas radon, observed in association with thorium, actinium, and radium. This supported the phenomenon of induced radioactivity (Marie Curie, 1899). Radioactivity was recognized as the most powerful source of energy known to date. The Curie measured the heat associated with the disintegration of the radius and established that 1 gram of radius releases approximately 420 joules (100 calories) of energy each hour. This warming effect continues hour after hour and year after year, while the complete combustion of one gram of coal produces a total of 34,000 joules (about 8,000 calories) of energy. After these early discoveries, radioactivity attracted the attention of scientists around the world. In the following decades, many aspects of the phenomenon were investigated in depth. Radioactivity is especially used to obtain nuclear energy, also in medicine, at the request of radiotherapy and radiodiagnosis and in industry. It is important to note that radioactivity can be life-threatening, but it will depend on the intensity and duration of exposure and the tissue it affects. Generally, natural radiation is not harmful if it is kept to a normal level, while care must be taken with artificial radiation. A recommended preventive measure, when the radiation is high, is to face it with a corresponding shielding. Rutherford discovered that radioactive emissions contain at least two components: alpha particles, which only penetrate a few thousandths of a centimeter, and beta particles, which are almost 100 times more penetrating. In subsequent experiments, the radioactive emissions were subjected to electric and magnetic fields, and a third component, gamma rays, was found to be much more penetrating than beta particles. In an electric field, the trajectory of the beta particles deviates greatly towards the positive pole, while that of the alpha particles does so to a lesser extent towards the negative pole; the gamma rays are not deviated at all. This indicates that beta particles are negatively charged, alpha particles are positively charged (they deviate less because they are heavier than beta particles) and gamma rays are electrically neutral. The discovery that radium decay produces radon demonstrated that in radioactive decay there is a change in the chemical nature of the decaying element. Experiments on the deflection of alpha particles in an electric field have shown that the ratio of the electric charge to the mass of these particles is about half that of the hydrogen ion. Physicists assumed that the particles could be doubly charged helium ions (helium atoms missing two electrons). The helium ion has a mass approximately four times greater than that of hydrogen, which would mean that its charge-mass ratio would be half that of the hydrogen ion. This assumption was demonstrated by Rutherford. Beta particles were later shown to be electrons, while gamma rays were electromagnetic radiation of the same nature as x-rays but with significantly higher energy. It is defined as the deposition of radioactive particles, released into the atmosphere from nuclear explosions or leaks from nuclear installations and power stations, on the Earth’s surface. Public interest has focused primarily on the effects of radioactive fallout since the period of large-scale atmospheric nuclear testing in the 1950s and early 1960s. Its harmful effects were discussed for many years, but it wasn’t until 1984 when a Utah federal judge ruled that 10 people had fallen ill with cancer because the government had failed to take adequate measures regarding citizens’ exposure to the fallout in that state, that a decision was made. Since the signing of the nuclear test limitation treaty in 1963, levels of radioactive fallout have decreased worldwide. The Chernobyl nuclear accident produced a certain amount of radioactive fallout. Radiation has consequences on the tissues of living organisms. Energy is transferred to the cell molecules of these tissues. As a result, the cells may temporarily or permanently deteriorate and even die. The effects of radiation are the same whether it comes from outside or from radioactive material inside the body. The biological effects of the same dose of radiation vary considerably depending on the length of exposure. The effects that appear after rapid irradiation are due to cell death and may become visible after hours, days or weeks. High doses of radiation over the entire body produce characteristic lesions. Absorbed radiation is measured in grays (1 gray is the amount of radiation needed to release 1 July of energy per kilogram of matter). A quantity of radiation in excess of 400,000 grays produces severe deterioration in the human vascular system, leading to cerebral edema, neurological disorders, and deep coma. The individual dies within 48 hours. When the body absorbs 100,000 to 400,000 grays of radiation. The individual dies within ten days from osmotic imbalance, bone marrow deterioration, and terminal infection. For many years, radio has been used in cancer treatments. Today, Co-60 and Cs-137 are used exclusively in radiation therapy. The effectiveness of this therapy depends on the fact that malignant cells, which grow or divide rapidly, are more susceptible to radiation damage than normal cells. Cobalt-60 emits both beta particles and gamma rays. The radiation is focused on the area where the tumor is located, but it is very difficult to limit exposure to only malignant cells. Many patients experience discomfort from radiation after this type of treatment. Iodine-131 may be used to treat hyperthyroidism. The therapeutic dose is higher than the one used in the diagnosis. The thyroid gland selectively concentrates Y-131. The section of the gland that is overactive will be exposed to a large dose of the isotope and will be specifically destroyed. Barbara Bush, a first lady of the United States, was treated in 1989. A malfunction of the thyroid gland develops goiter in people and causes many metabolic disorders. Radioactive tracers are normally used for medical diagnosis. In terms of how radioactivity should be detected outside the body, radioactive isotopes (radionuclides) are generally chosen as gamma-ray emitters. Also, the radionuclide should be effective at low concentrations and should have a short half-life to reduce the possibility of harm to the patient. Radioactive iodine (I-131) is used to determine thyroid function, where the body concentrates iodine. In this process, a small amount of radioactive sodium or potassium iodide is ingested. A detector is focused on the thyroid gland and the amount of iodine in the gland is measured. This picture can be compared to that of a normal thyroid to detect any differences. Radioactivity has been used to control and, in some areas, eliminate the borer worm. The larvae of this insect enter the wounds of the cattle. The female fly, like a queen bee, only mates once. When large numbers of male flies are released and sterilized with gamma rays at the appropriate time and in the area infested with the borer, most females mate with sterile males. As a result, flies cannot reproduce sufficiently to maintain their numbers. This technique has been used to eradicate the Mediterranean fruit fly in some areas. A good crop requires soil with sufficient nutrients and moisture. Nuclear techniques are ideal for measuring the effectiveness of crop fertilizer use and for monitoring moisture content. In modern agriculture, the use of fertilizers is essential to maximize crop yields; for example, it is common in many soils to achieve a 50% increase in cereal yields through efficient fertilization. 1. Do you know what a nuclear reactor is? 4. What is an Isotope?